So winter is officially upon us, and so the lovely Mother Nature decided to dump a ton of ice on us. Not cool lady, not cool. Waking up this morning, we had no power, heat, or hot water and downed power wires and trees on either side of us and in the back alley where our lovely new car is. Since it’s freezing out and we essentially had no way of feeding Buds, we packed up and shipped ourselves off to Grandma’s house. Even our hospital is without power in areas and we’re wondering if daycare will be open tomorrow. With our lovely city telling us to expect 72 hours without power (oh, Merry Christmas to you too) we may have to hunker down here after heading home to check on the dog (she’s a furball so actually loves it cooler) and stock up. I have been banned by Jason from leaving the house unassisted as I am clumsy at the best of times, so massive and unbalanced as I am, I’m slightly like a weeble. So, ice and snow, please go away so we can enjoy our holidays. Much appreciated! 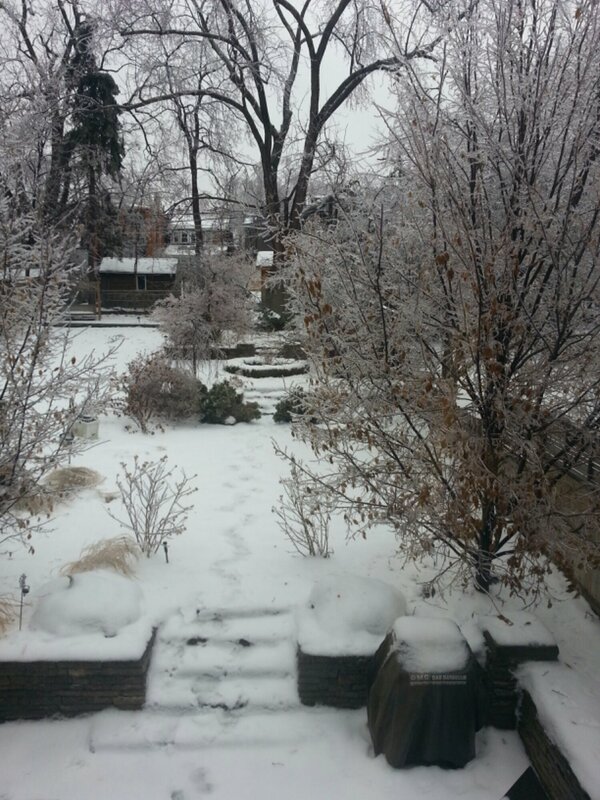 This entry was posted in Sojourn at home and tagged Christmas, ice storm, weather. Bookmark the permalink.